← Look how we have grown! John Flavelle arrived in Sydney in 1842 and initially worked for Australia’s first professional photographer, George Baron Goodman, before going into business as an optician and jeweller. About 1870, John Flavelle built a two-storey home in Concord which he named ‘Wellbank’ after his wife Catherine’s birthplace in Ireland. The Flavelle Estate originally occupied the area around Wellbank Street, between Correys Avenue and Arthur Street. 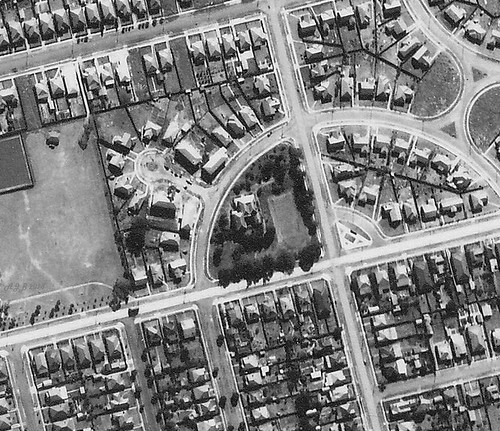 In 1945 the Housing Commission compulsorily resumed the Flavelle Estate for post-war housing. 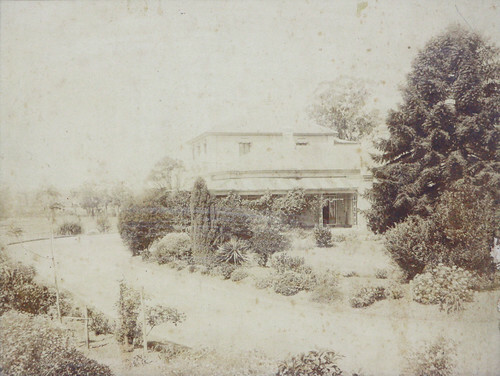 Wellbank house was left untouched while the remaining daughters of Flavelle, Lucy and Ida, lived there. After their deaths, Concord Council acquired the property and in 1961 demolished the house to build new Council Chambers. This building in turn was demolished in 2007 to make way for the new Concord Library and Wellbank Children’s Centre. Appropriately, the multifunction rooms at Concord Library are named after the Flavelle sisters while the location on the corner of Flavelle and Wellbank Streets provides another link with the history of the site. Posted on May 1, 2013, in Concord and tagged Canada bay Connections, City of Canada Bay, City of Canada Bay Library Service, Concord, Concord Library, John Flavelle. Bookmark the permalink. 10 Comments. As a kid I can remember exploring this derelict home, probably around 1957 to 1959. We were told it was haunted, and that a couple of kids had fallen down a well and drowned. My cousin and I were visiting our grandparents at the time. They lived just two hundred metres away as the crow flies in Davidson Avenue. They told us never to go near the place, but we didn’t listen. I seem to recall the property was heavily overgrown, and for a 10-year-old kid it was really scary. 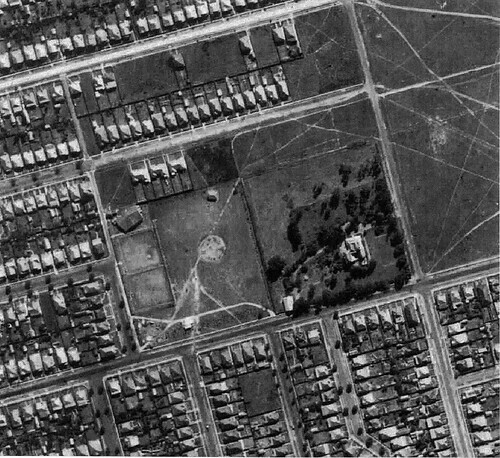 I lived in Churchill Crescent Concord (adjacent to this wonderful old house) from 1949 (when I was born). When I was very little I remember going with my mother to visit the old lady who lived in the house before she died. I think my Mother took some cakes or something with her. We had a clear view of the house from our front lawn, and I have some photos of my mother holding me as a baby on the front lawn and the house is in the background. To use the local phone box, Mum would walk up to the corner of Wellbank & Flavelle Street to use the phone box near that corner, and we would take apples to feed to the horses that grazed in the front paddock at Wellbank. After the old lady died, we kids would explore the grounds and around the perimeter of the house. Under the verandas there was an access to what us kids called dungeons below the ground floor of the house. During the process of demolition of the house (when the workers had gone for the day) we kids would again explore the grounds. I remember seeing lots of black & white photos laying about the grounds near the ‘dungeons’, discarded as if the boxes they were stored in had been broken. I should have picked them up and kept them. At the time their importance was not lost of me, even then, but I still didn’t retrieve them. Sadly it has been one of my earliest regrets. There was a covered well out the back with a metal grate on the top. There was also a large collection of Camelia’s growing, around the perimeter which was on Churchill Crescent, but the other one to where our house was. They were beautiful. Inside the house on the ground floor as you entered, to the left was a large long room, a ballroom my mother explained to me at the time, on one of our visits to the old lady. I have always been fascinated by this house, so much so that about 4 years ago I did some family research on the Flavelles, hoping mainly to learn more about the house. Was the house haunted? I don’t know. It certainly was eerie; and it has haunted me ever since my childhood. It seems such a shame this house wasn’t saved. I am so glad to have heard from someone else who knew this house. They are wonderful memories, Felicity. I wondered about how it was for the last surviving girl of Flavelle, Lucy (1869 – 1957), and whether her neighbours ever dropped in to see if she was OK. It’s comforting to know that you and your mother did just that. Your regret about the photos is understandable. I’d love to know what the home looked like in its prime. Imagine the grand parties that must have been held there! Yes, thanks for the aerial photos, especially the one before Churchill Crescent was created. I’ve not seen the old area from that vantage point before. If you have any other photos, of the house or the family (should miracles happen) I’d be delighted to see them. Regards. Sadly I don’t have any other photos, Ian. The first four students at Women’s College in 1893 in its temporary rented house called “Strathmore” in Glebe. From left, Dorothy Harris, Eleanor Whitfeld, Louisa MacDonald (Principal), Constance Harker and Lucy Flavelle, photo G3_224_0370, University of Sydney Archives. Wow! thanks for sharing the pic. It’s the first I have of any of the Flavelle Family. They were a fascinating bunch living in a fascinating time. What a fascinating family. Thanks for the information. Earlier this year the City of Canada Bay Museum identified this photograph in their collection as being one of Wellbank house. 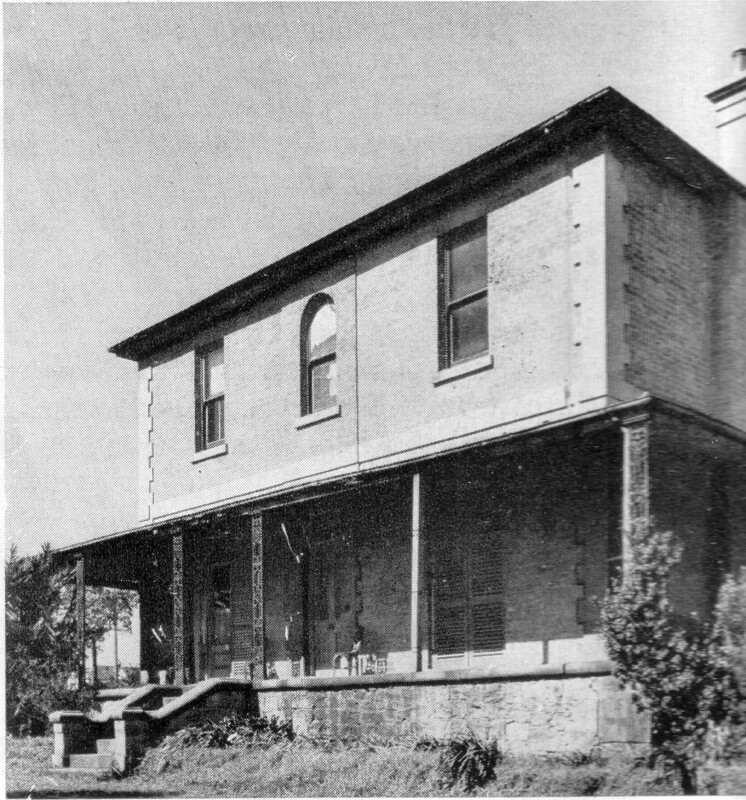 It’s taken from a different perspective from the one above (from The Architecture of Victorian Sydney by Morton Herman) but a close comparison of the upper storey and the style of the verandah makes this seem quite likely.